Supreme Court of India has stayed the Bar Council of India’s withdrawal of Exemption granted to ‘Advocates on Record’ from filing forms under Certificate and Place of Practice (Verification) Rules 2015. Today’s Order came in a Petition filed by Supreme Court Advocates-on-Record Association Secretary Nandini Gore, demanding impleadment in the case titled Ajayinder Sangwan v. Bar Council of Delhi & Ors. The impleadment application challengeed the alleged “unilateral withdrawal” of exemption granted to AoRs from filing Verification Forms. Yesterday, when the matter was mentioned before Justices Pinaki Chandra Ghose and Amitava Roy, it was directed to list it Today. 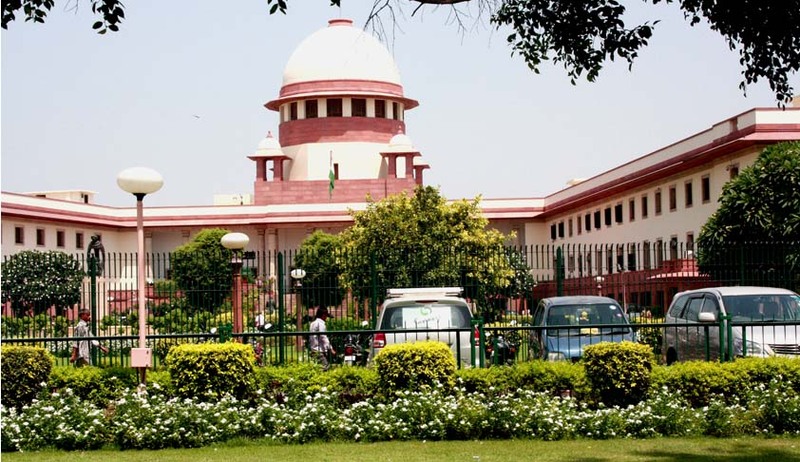 The petition contended that the SC AoRs are a distinct category and all information about them is available and easily verifiable through the Computer Code allotted to them. It is further averred that before becoming an AoR, the respective Bar Council itself gives continuity certificate as required under Supreme Court Rules. This continuity certificate, it claims, is the verification by the concerned State Bar Council. It hence demanded that urgent directions be issued to the Bar Council of India and the various State Bar Councils to accept Form E from the Advocates-on-Record of the Supreme Court, as available to them under Rule 5(a) of the Rules. It further prayed that the amendment notification, if any, be quashed, and that BCI be directed to grant exemption to AoRs as earlier granted.